L.B. 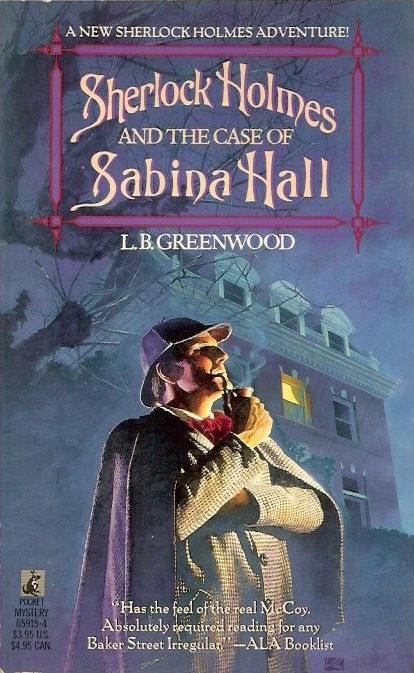 Greenwood's follow-up to her 1986 novel Sherlock Holmes and the Case of Raleigh Legacy. Beautiful cover art by Kazu Sano. At the behest of a university acquaintance, Sherlock Holmes joins Dr. Watson on a mission of mercy to the bleak Bristol coast. But Holmes is not motivated by altruism, and when they reach Sabina Hall, his suspicions are justified. Miserly old Silas Andrews, who was to be Watson's patient, lies dead––and a peculiar smell on his medicine spoon means only one thing to Holmes: poison!